I took an old model of mine and improved its painting. 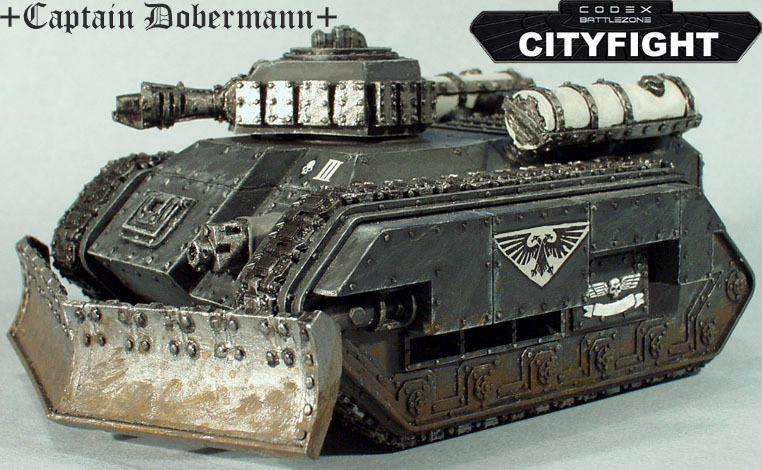 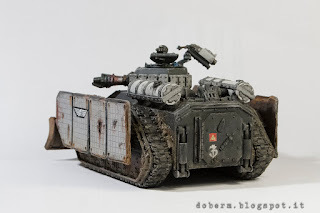 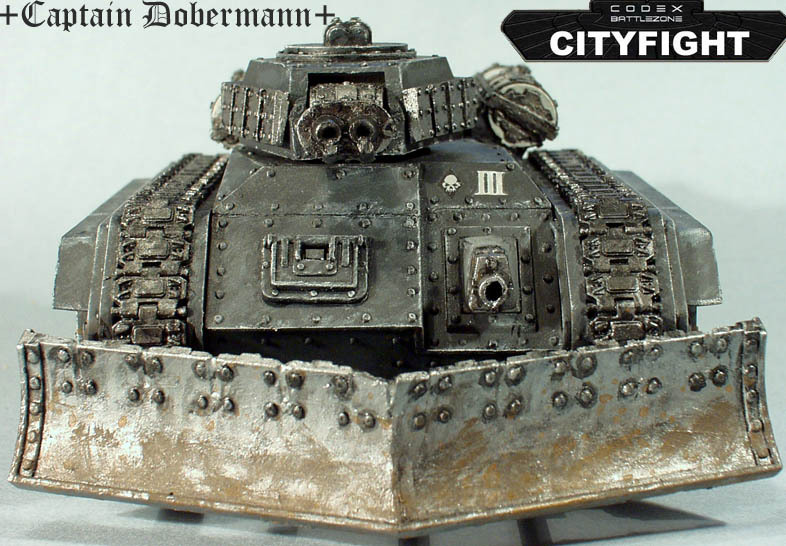 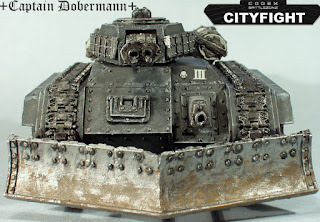 It was a very old model, one of the firsts I painted for my Imperial Guard. I added to the model: a storm bolter, a searchlight, smoke launchers, plus form Forge World the side reinforced armour and the pilot. 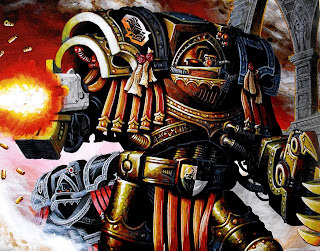 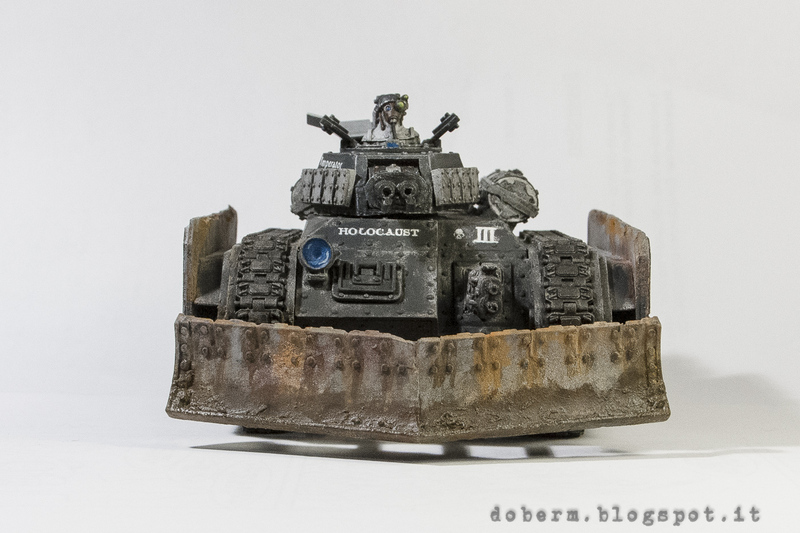 I also magnetized the hull weapon and replaced the heavy bolter with a heavy flamer. 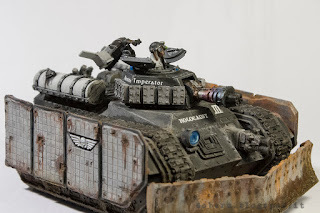 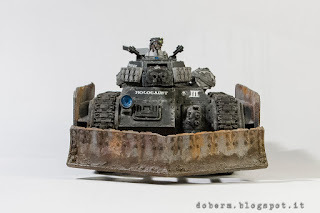 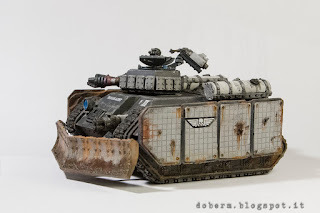 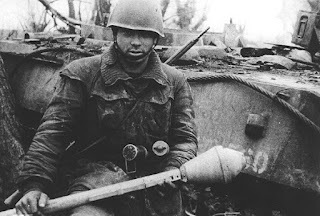 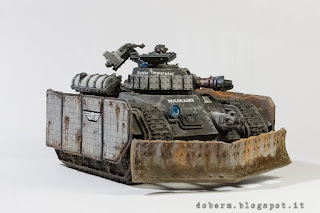 I did a lot of weathering (dust, rust, mud) to underline the fact that the vehicle is very old and it is fighting since decades on different warzones.